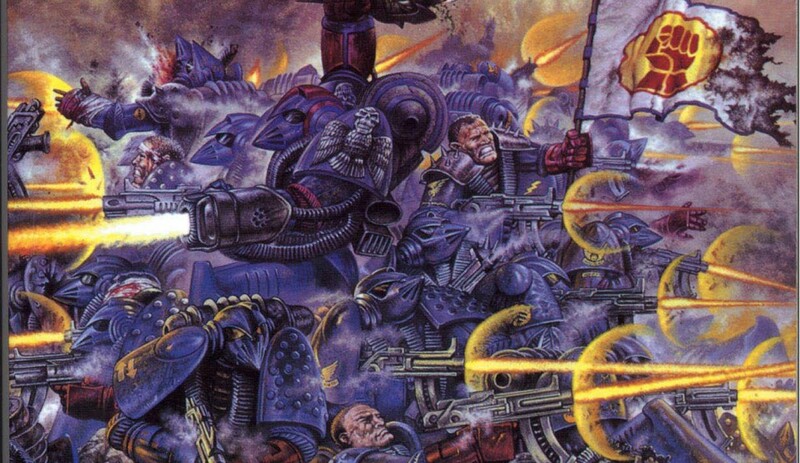 I know a lot of the Oldhammer fans don’t approve of the whole Insignium Astartes thing, seeing it as a way of dictating how you paint and play. For me though I enjoy trying to get the squad markings right! 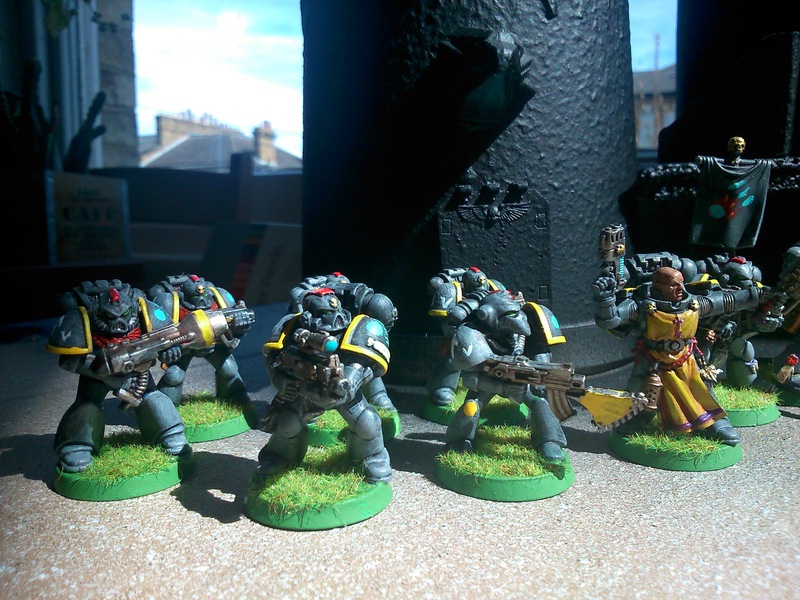 It has an added bonus that you don’t need any further markings to work out which miniatures are a squad, so that if they get mixed up there’s no guessing what toys go together! 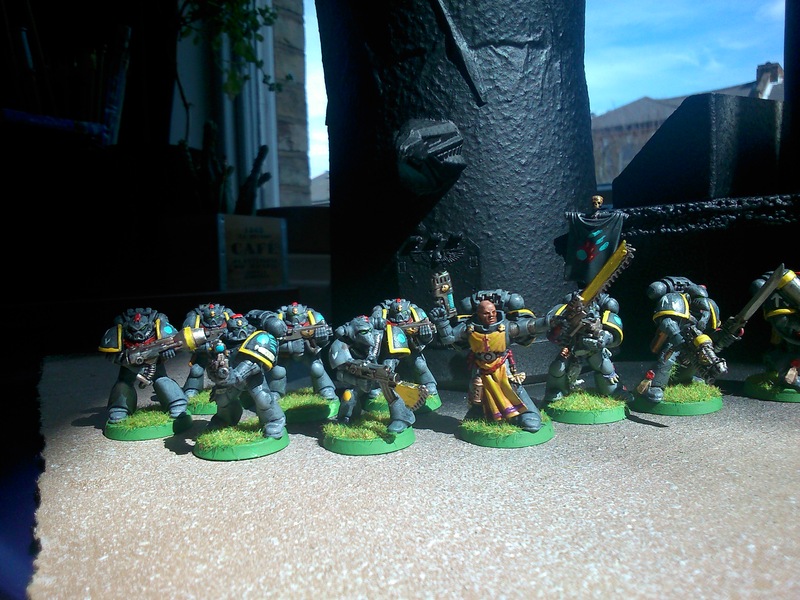 When I first started painting I used coloured splotches on the bottom of the bases to indicate which marines went where, but as I became more confident and started painting squad markings I found that there was no longer any need. Of course, I couldn’t tell you why it’s important not to confuse Marine With Bolter A with Marine With Bolter B, but there you go. I’m pretty pleased with this squad. Slowly I’m getting better. I reckon I’ve done maybe 500 of my 10,000 hours – the 10,000 hours you need to spend on something to become a master!